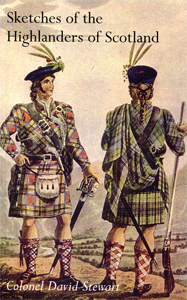 As a serving officer of the Forty-Second Regiment, Colonel Stewart is much concerned with the soldierly qualities of the Highlanders and the emphasis in the book is of their military achievements. Campaigns which are covered include the American War of Independence, General Wolfe’s Expedition to Canada, Flanders, France and Egypt, and West Indies; in fact, practically all the theatres in which the British Army was involved from 1740 to 1815. 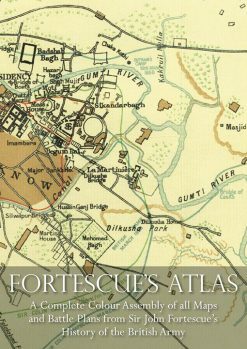 All necessary maps and tables present in this N&MP edition. This monumental work is divided into four main parts: Part one deals with the history of the Highlands, the Character of the Highlander, his arms, grab, music, loyalty, clan system and the effects of the Disarming Act. The Second Part records the state of the Highlands and its people in the nineteenth century including such objects as crofting, emigration and illicit distilling. 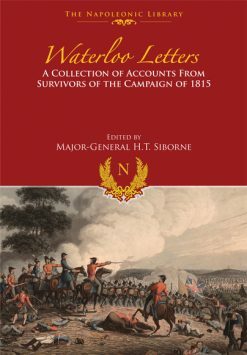 Part Three, , by far the largest part of the book, is devoted to military annals of the Highlands regiments, relating the exploits of the regiments at home and abroad from their foundations to the Battle of Waterloo in 1815. 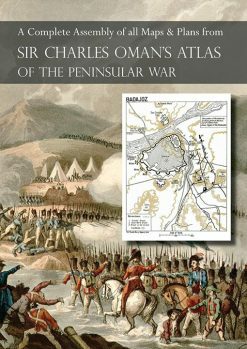 Part four consists of some hundred pages of appendices covering such diverse subjects as education, second sight, armour, returns of killed and wounded in various campaigns, lists of officers, wedding customs and wildlife.